CompanyDATING is an event where companies and students can meet and talk about concrete job positions and project collaborations. We host CompanyDATING twice a year. CompanyDATING is primarily for partner companies at Aarhus BSS. Is your company not a partner, but do you want to participate in CompanyDATING? Write to us at companydating.bss@au.dk. If your company is not already a partner or sponsor, we would recommend that you take a look in our partnership brochure. 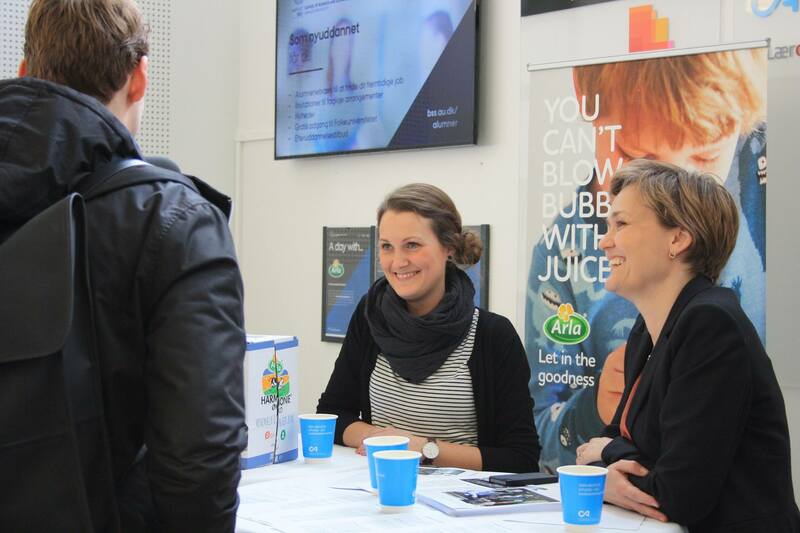 Did you know that our sponsors can participate to two CompanyDATING events a year? In addition, our partnership model includes a visibility package that highlights the company on several web platforms and in our career centres in Aarhus and Herning. Please contact Aarhus BSS Career & Alumni if you wish to participate. There are a limited number of seats available. You can pay with credit card or you can choose to receive an invoice. Please note that the invoice will be sent after CompanyDATING. We encourage you to put your company's job adverts in the AU Job and Project Bank and write CompanyDATING in brackets after the title of the job advert. In this way, students can easily access the jobs before and on the day by searching for CompanyDATING. Kl. 14:00 to 16:00: Setup for roll ups etc. The purpose of CompanyDATING is to give companies a unique opportunity to recruit competent and motivated students from Aarhus BSS to student jobs, internships, project collaboration, graduate programs and full-time jobs. We target a broad range of Aarhus BSS students for CompanyDATING. This includes undergraduate students, master students and young alumni. We expect approx. 1000 students during the 3 hours. The ratio of participants is normally 70% master students, 25% undergraduate students, and 5% young alumni. Since it is an open event, there might be students from other AU faculties or other educational institutions. Stand approximately 2x3 meters: within this area the company itself is responsible for decorating the stand with roll-ups and other interesting material. NB! Aarhus BSS Career & Alumni maintains the right to decrease a company's space if the 2 x 3 meters area is not adhered to. 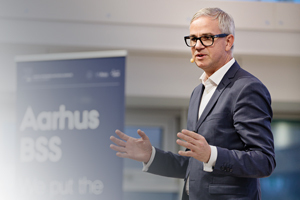 Access the insights, expertise and resources of more than 15,000 other alumni from Aarhus BSS.